Simon & Schuster, 9781439159941, 175pp. 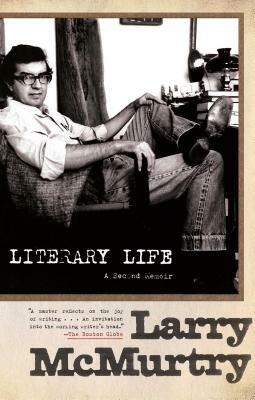 LARRY McMURTRY IS THAT RAREST OF ARTISTS, a prolific and genre-transcending writer who has delighted generations with his witty and elegant prose. In Literary Life, the sequel to Books, he expounds on the private trials and triumphs of being a writer. From his earliest inkling of his future career while at Rice University, to his tenure as a Wallace Stegner fellow at Stanford with Ken Kesey in 1960, to his incredible triumphs as a bestselling author, this intimate and charming autobiography is replete with literary anecdotes and packed with memorable observations about writing, writers, and the author himself. It is a work to be cherished not only by McMurtry's admirers, but by the innumerable aspiring writers who seek to make their own mark on American literature.